Few would disagree about the importance of creativity in human lives. Science depends on the creative mind. So does the economic viability of nations today. The vision of this grant is to open up a new frontier in human-robot interaction whereby it becomes possible to augment human creativity through human-robot interaction. 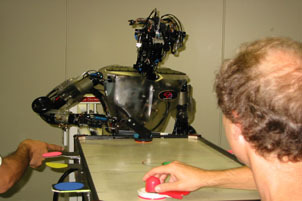 This possibility could emerge by embedding sophisticated search functions and AI software in a social robot, which then engages in dialog with the user, decides on key terms for a search, filters the results (based on unique and long-standing histories of the user), and decides which results to bring forward at specific junctions in the human-robot dialog. There are four overarching goals: (1) To conceptualize the creativity domain and to generate creativity methods in human-robot interaction. (2) To develop human-robot interaction patterns that set up (a) people's prior social relationships with a social robot such that people are open to creating with the robot, and (b) the interactions with the robot for the creative process itself. 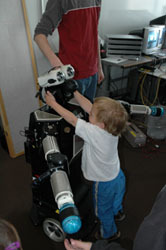 (3) Piloting research toward fostering creativity in interaction with ATR's humanoid robot, Robovie. And (4) conducting a formal research study to test new forms of creativity with ATR's humanoid robot, Robovie. A genre of robots has begun to move from the pages of science fiction to the research laboratories, and even into society at large. These robots – personified robots – in various ways and to varying degrees, embody aspects of people insofar as they have a persona, are adaptive and autonomous, and can talk, learn, use natural cues, and self organize. These robots will become part of people’s everyday social lives. Perhaps they will become caretaking assistants for the elderly, or academic tutors for our children, or medical assistants, day care assistants, or psychological counsellors. They may become tour guides in many settings, or bankers that replace ATM’s, or maids in our homes. They may become our friends. Yet as personified robots become more prevalent, they will pose children and adults with significant challenges, socially and morally. The specific challenges will depend on how the robots are designed, their context of use, and on how people actually interact with such robots. These are empirical issues that, given the current advancements in robotics, are now tractable using scientific methods. The purpose of this project is to investigate people’s social and moral relationships with personified robots. A series of 5 complementary investigations are proposed: 4 empirical investigations and 1 design investigation. This proposed body of work builds on the PI’s current collaboration with Advanced Telecommunications Research (ATR) in Japan, using ATR’s cutting-edge personified robot, “Robovie.” Collaborators include Dr. Hiroshi Ishiguro and Dr. Takayuki Kanda. The 5 investigations are as follows: (1) A study of whether adults believe that a humanoid robot has feelings, is intelligent, can be a friend, is autonomous, and has moral standing (i.e., can be the recipient of unfair actions and unwarranted psychological harm). (2) A study of the extent to which children, adolescents, and adults believe that a robot can be responsible for harm it causes humans. (3) A study of moral standing and accountability that examines whether children, adolescents, and adults consider a humanoid robot most like a human, child, animal, or object - or as a new technological genre. (4) A study of whether children, adolescents, and adults believe that a robot is an entity that engenders trust and can be trusted. (5) A design investigation of patterns for sociality in human-robot interaction that characterizes essential features of social interaction between humans and robots. Taken together, this body of work aims to provide for the first time a systematic account of social and moral behavior and reasoning with a humanoid robot that cuts across childhood, adolescence, and adulthood. In terms of basic science, this project will likely provide evidence that people do not simply act “as if” personified robots are social (like “characters” in a play), but engage personified robots sincerely and meaningfully as social others, and in some ways even as moral others. At the same time, this project would likely show that HRI is not simply the mapping of human-human interactions (or human-animal interactions) onto robots, but represents a new genre: technological yet animate, personified, responsive, and seemingly autonomous. It is likely in the near future that the public will raise serious concerns about the introduction of personified robots into society. Concerns may be voiced, for example, that interacting with personified robots will reify a master-servant relationship (with the robot as servant), or undermine authenticity of real social relationships. Parents, in particular, may voice concerns about the impacts of personified robots on their children. The results of this proactive research and design project will provide guidance in responding most appropriately to such concerns, and will establish principles for using robots for human and humane purposes, and that advance authentic human-human relation. We as a species are losing rich and diverse forms of interaction with nature: the awe, for example, of encountering an animal in the wild or a slug underfoot; or of sleeping under the night sky, or of even seeing the night sky in our urban settings. The loss is happening quickly (in terms of decades), and potentially impoverishing us as a species, physically and psychologically. Toward addressing this problem, we propose a new research agenda that is focused on generating what we are calling a Nature Language – a way of speaking about patterns of interactions between humans and nature, and their wide range of instantiations, and the meaningful, deep, and often joyful feelings that they engender. Many of these patterns presumably emerged during the course of our evolutionary history. In addition, we propose to broach the problem of how to validate interactions patterns. If this nature language project proves successful, it will allow people to speak more readily and comprehensively about what is beautiful in our relation with nature, and what is missing but still possible if we change course. A genre of robots has begun to move from the pages of science fiction to the research laboratories, and even into society at large. These robots – personified robots – in various ways and to varying degrees, have a persona, are adaptive and autonomous, and can communicate, learn, use natural cues, and self organize. These robots will become part of people’s everyday social lives. The purpose of this grant is to break open an entirely new approach to the design of such personified robots, an approach that will enhance the social and moral lives of humans interacting with them. Our approach builds on the idea of “interaction patterns.” By an interaction pattern we mean characterizations of essential features of social interaction between humans and robots, specified abstractly enough such that many different instantiations of the pattern can be uniquely realized given different types of robots, purposes, and contexts of use. Consider a simple example of an interaction pattern between humans: When we are introduced to a new person, we often shake hands, say ‘hi,” exchange our names, and perhaps engage in a little chit-chat about the weather. In other cultures, people might bow to one another, or offer a namaste greeting. We can call this universal social activity an “Introduction.” The Introduction facilitates further social interaction. While the Introduction is never enacted exactly the same way twice, the activity is structured, it follows a recognizable pattern. And this pattern is but one of many that can be used to help structure human-robot interaction. Information technologies often support or undermine enduring human values, and sometimes both at the same time. For example, surveillance cameras in public venues (such as in banks, malls, and airports) increase individual and sometimes national security, but often at the expense of individual privacy. Or large linked medical databases increase efficiency of information flow but can infringe on the trust between patient and doctor. In response to such problems, system designers and researchers (from fields within Information and Computer Science) have focused on such values as physical and psychological wellbeing, intellectual property, universal usability, freedom from bias, privacy, trust, informed consent, moral responsibility, honesty, productivity, and democracy. However, despite the increasing interest in values and system design – and its importance to society at large – there remains a need for an overarching theoretical and methodological framework by which to handle the value dimensions of design work. Over the last eight years, a potentially viable approach has been emerging, called Value Sensitive Design. Value Sensitive Design integrates and iteratively applies three types of investigations: conceptual, empirical, and technical, and seeks to account for human values in a principled manner throughout the design process. This approach has had success on medium-sized NSF-funded projects, and has helped shape several NSF-funded workshops. The purpose of this project is to extend and validate Value Sensitive Design on a large scale. Specifically, we propose to apply Value Sensitive Design to hard but tractable problems across five research strands. Personal Robots in Human Lives. We will investigate the psychological benefits (and limitations) of humanoid robots in the lives of children, the elderly, and the general population; we will also engage in a value sensitive redesign of a personal robot. Display Technologies. We seek (a) to uncover and document benefits (and limitations) of natural information mediated by display technologies, (b) to integrate natural displayed information into the normal (if not enhanced) flow of work-related information in real-life contexts, and (c) to bring to the forefront the additional value considerations that emerge when cameras linked to the web increasingly capture, record, and display human activity in public venues. Children and Information Systems. In addition to involving children in some of the above studies, we will investigate the values of honesty and intellectual property in children’s online interactions. In addition, we will engage in a value sensitive redesign of the Mozilla Browser to support a culture of citation for children. Large-scale Computer Urban Simulation Package (“UrbanSim”). UrbanSim is a large-scale computer simulation that predicts patterns of urban development for periods of twenty years or more, under different possible scenarios. We seek (a) to integrate environmental values into the simulation, affecting its information architecture, interaction model, and interface, and (b) to increase the public’s access to the simulation results to support the democratic voting process. Value Sensitive Design within Industry Contexts. The fifth strand seeks to maximize the impact of a value-oriented design methodology by developing and integrating Value Sensitive Design within industry contexts. We will partner with three organizations: Sun Microsystems, Microsoft, and openwave. Research within each of the five strands provides stand-alone contributions to their respective fields. In addition, we will conduct overarching analyses such that Value Sensitive Design can make progress on the following hard but tractable problems: developing the integrative and iterative methodology; handling diverse values (particularly when values come into conflict within single systems); handling diverse populations and technologies; accounting for cultural diversity; adapting to an industry context; providing metrics and techniques for evaluating the value-oriented features of information systems; and providing means to transfer the methodology to others in academia and industry. In short, we seek outcomes that contribute meaningfully to society at large not only within each of our five research strands, but in terms of establishing a new value-sensitive approach to system design. A large body of diverse research shows that direct experiences with nature have beneficial effects on people's physical, cognitive, and emotional well-being. 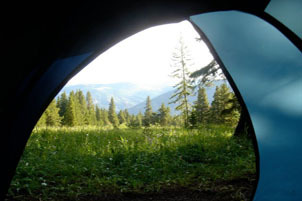 For example, studies have shown that even minimal connection with nature – such as looking at a natural landscape – can reduce immediate and long-term stress, reduce sickness of prisoners, and calm patients before and during surgery. In recent years computer augmentations of the natural world have begun to be inserted into such human/nature interactions, or have the potential to be inserted. For example, currently it is possible to go on-line to garden “remotely” by controlling a robot in a distant garden (a telegarden). Or imagine working in a windowless office that includes a high resolution window-sized plasma display that shows a real-time view of a beautiful local nature area. Such technological augmentations form part of the field of augmented reality – the linking of computation, people, and physical objects and environments. Yet as promising as it appears, and as pervasive as it will probably become, important questions about augmentations of the natural world need to be answered. Namely, is it the case that through such augmentations we can achieve similar psychological effects to their non-augmented natural counterparts? If so, then technology will provide a powerful and pervasive means to foster human well-being: of children, the elderly, and the general population. Or is it the case that in some ways, perhaps many ways, augmented reality of the natural world falls short? Our project represents an early, cohesive, and rigorous effort to answer these questions from the approach of Value-Sensitive Design – an emerging field that seeks to design technology that accounts for human values in a principled and comprehensive manner throughout the design process. At the heart of our project lies five empirical studies. Studies 1 and 2 involve real-time video (a room with an augmented “window” view; and beliefs about the “truth-value” of augmented reality and the natural world). Studies 3 and 4 involve personal embodied agents (robot pets in children’s lives; and robot pets as companions for the elderly). Study 5 involves telepresence (a telegarden). As a group, these technologies represent a variety of approaches to augmented reality, including a range of user interaction from the one-way information flow of real-time video to highly interactive personal embodied agents. Moreover, all five studies involve cutting edge technology that will likely be deployed on a large scale within five years, and build on an existing non-augmented reality literature that suggests that at least some positive effects could be anticipated by means of the technological augmentations. In each study, we will collect a diverse range of psychological data: physiological, behavioral, and social-cognitive. Each of the five studies can stand alone, and will be analyzed individually. In addition, we will conduct an overarching analysis that brings together all five studies to focus on human values that emerge across a range of augmentations. We anticipate that such values will include psychological well-being, physical well-being, trust, democracy, privacy, ownership and property, moral reciprocity, and environmental sustainability. Our overarching analysis will lead to a comprehensive account of the effects of computer augmented interactions on the human experience of nature, and to an ethical framework for designing and deploying this technology. Taken together, our findings will have will have broad implications. One of the most important benefits is that we will know more about the value-oriented physiological, behavioral, and social-cognitive effects of the technology before the technology diffuses into the marketplace.